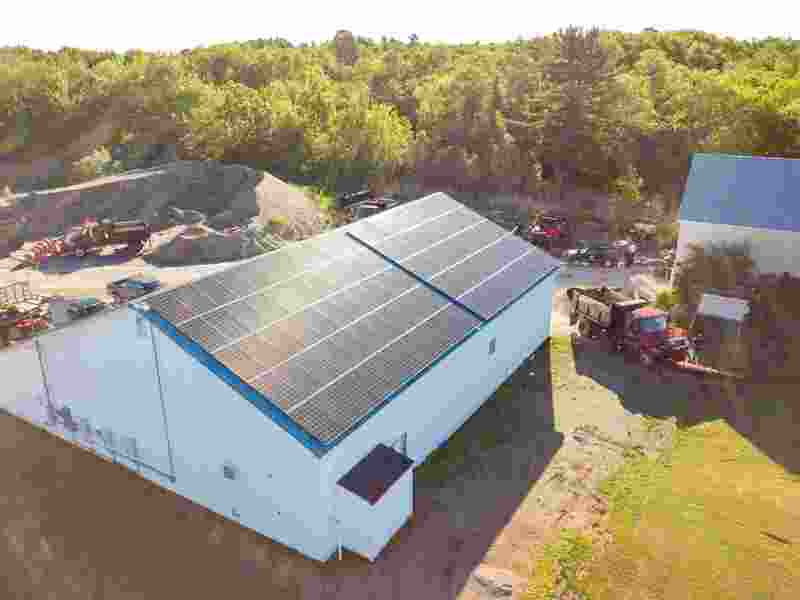 Sundog Solar recently completed the installation of a 32-kilowatt solar system for the Town of Stockton Springs in Midcoast Maine. This project will save the town over $106,000 over the life of the solar energy system. Sundog Solar, a locally-owned solar company located in Searsport, installed and owns the solar panel system. It has a power purchase agreement or PPA to sell energy to the Town of Stockton Springs for a lower rate than it currently pays the utility company. This will result in immediate cost savings while reducing reliance on imported energy. In addition to saving money right away, this solar installation is also a great way to hedge against rising energy costs. Stockton Springs will then have the option to buy the solar energy system, starting in six years or it can continue to purchase electricity from Sundog Solar at a discounted rate. Solar power purchase agreements offer towns an opportunity to use solar energy with little to no upfront. The solar energy systems consist of 105 Q CELLS solar panels which are mounted on the roof of the town garage. The solar panels will generate an estimated 38,500 kWh of electricity annually and have a design life of 30 years. The solar energy output is enough to offset the electricity use of the town office, public works garage, fire department, ballpark, and harbor. Want to learn more about how your organization can start saving today with a power purchase agreement? Contact Sundog Solar today at 207.548.1100!